There is deep inspiration and rigour in a practice of improvisation that posits vulnerability at its heart. Developing the skills to be able to care for, engage, respect and respond to that state of vulnerability in oneself and others gives life to improvisation that is powerful and transformative. 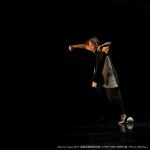 These guiding principles and questions have informed Kirstie’s art/life practice since she began exploring dance improvisation over three decades ago. In this workshop Kirstie shares insights gleaned from thirty-two years experience of living and loving Dance Improvisation, with a specific focus on how dance improvisation affects our lives and choices.